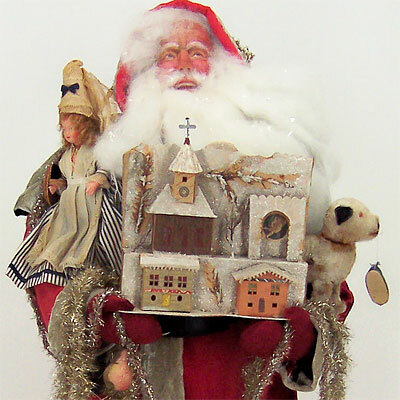 1930's style Santa Claus standing 36" tall. He is adorned with antiques including a wonderful doll, wind up dog, cotton fruit ornaments, a German Putz village and candy container boots. He has a very jolly expression!